Chateau Rauzan-Despagne, Reserve Blanc, AC Entre Deux Mers 2009 (88) around €14.50 from Searsons Wine Merchants, Monkstown Crescent, Blackrock, County Dublin and at selected wine shops nationwide. Bordeaux dry white wines are some of the first on to the Irish market from hysterically hyped 2009 vintage in Bordeaux. The red wines, especially from the top Chateaux will take another two to three years to arrive on our shelves by then presumably at astronomical prices. As I re-iterate again here, I think En Primeur has become in the main a preposterous rip off for the general public and smaller retailers. If you are cash liquid and playing the investment game, yes those two people, then fine, for the rest of us, have a look at Bordeaux white wines. My favourite Bordeaux wines from the 2009 have been the white, Smith Haut Lafite being the star so far. This is not a €200 Graves, rather a New World challenging crisp, well balanced and perkily fruity lime tinged delight, a Sauvignon Blanc, Semillon and Muscadelle assembly from a Carbon Neutral, Organic farming enterprise by a wine family with three centuries of boom and bust under their belts. Available now, not 2012. 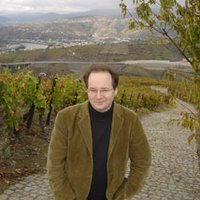 This is a very fine Port experience from one of the less fashionable of the Douro Boys, though Cristiano van Zeller is very much one of the leading lights of the New Douro movement that also contains Dirk Van Niepoort and Quinta do Crasto amongst others. The winemaker here at Vale Dona Maria is Sandra Tavares, the leading female member of the Douro Boys. The Douro Boys idea is rather like a band, and in nearly all the photographs of the various members, they always pose, together as a band, its a nice, slightly geeky idea, but sums up the competing fun and seriousness of the transformation of Port into a vigorous important wine and not a marginalised fortified drink. Zeller and winemaker Tavares go a long way in this LBV Port to show the vineyard origins of this deep, luscious, tar-like, dark chocolate and spicy notes, infused wine. Has several more years of potential even approaching 10 years. Perfect with Chocolate Brulee or more adventurously with peppered steaks. Wine pricing, is a little like hotel pricing, at one price what is functional and clean becomes enjoyable and a fine fit, but charge a third more and functional and clean becomes drab and souless. Nothing else has changed, just our perception. Well, at €13, the sale price in Master Of Wine Alan Crowley’s Wine Warehouse venture in Stillorgan this light, straightforward, clean, rather toasty sparkling Chardonnay is a fine more muscular competitor for similarly priced Prosecco, but at €18 it is too straightforward, too singular. At that end of the market its competitor is Jacobs Creek, whose the Blanc de Blancs is infinitely better. So, at a good price a fine sparkling foil for a Catalan, Bunyols de Bacalla, small crispy croquettes of cod in a light batter. The word Rioja once dominated all talk about wines from Spain. Frosted, wire wrapped bottles with Gothic script were piled up on Irish wine shelves. Of course decades of popularity for Rioja brought some complacency, eventually making Rioja a byword for old fashioned and over priced. Then came a revolution, visionary winemakers and renowned Architects descended on Rioja, the wavy steel of the Frank Gehry designed Hotel and Winery at Marques De Riscal has become a tourist attraction in its own right. Over at Sierra Cantrabria, the effort is all in the wine and this stunning, inky dark Crianza is the result. It is packed with dense ripe fruit, 14 months in US oak gives a luscious, creamy toasty note, while rich ultra ripe fruit brings blackberry, leather and dark chocolate to complete the picture. Begging for a thick cut, medium rare sirloin, possibly a last throw of the barbecue. The price is the icing on the cake, eclipsing the New World for value. The modern Australian wine revolution began here in Ireland in the middle of the 1980s when Jacobs Creek and Wolf Blass started to push Piat D’Or and Black Tower off the wine shelves. Very quickly indeed names like Penfolds arrived and convinced people that Australia was also a fine wine producer too. Latterly a Classification has been set up, called Langtons to rank Bordeaux style, the best fine wines in Australia. This wine, which we have praised before has been rated with the best in Langtons. The Cabernet here now 6 years of age is reaching a level of maturity and richness that many Classed Growths would envy, with years to come. Dense, blackcurrant, now loosing its bramble notes and gaining leather and cedar touches. A fine Paulliac at Cru Bourgois prices, the beauty of top end Australian wine. Perfect for slightly rare lamb and minted potatoes.